The app, which brings local legends to life through a series of plaques installed at various locations across Inverness, was launched in the autumn of 2018. The app has now been downloaded around1500 times by tourists from across the world visiting the Highlands. The Inverness Common Good Fund provided funding for the artworks which were designed by local artists and the Council’s Graphic Designer Kirsty Foster. 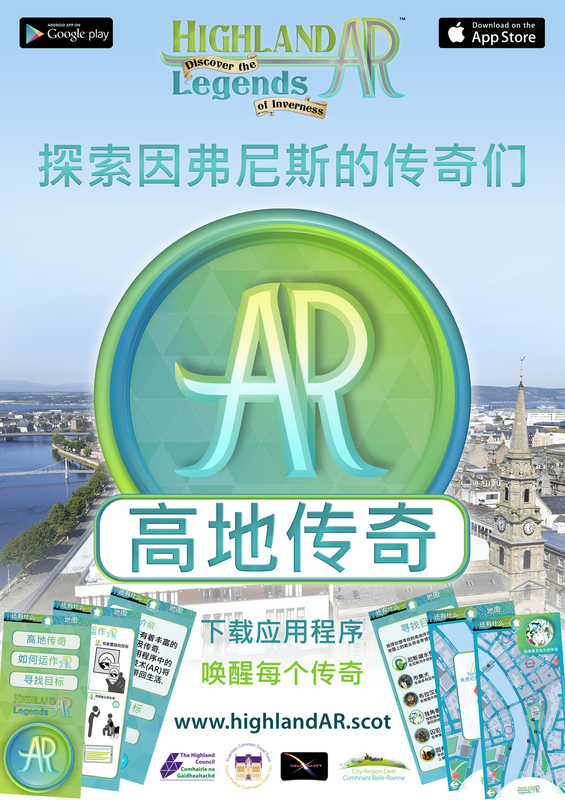 Darroch McNaught of Deuxality created the HighlandAR app and augmented reality experiences.